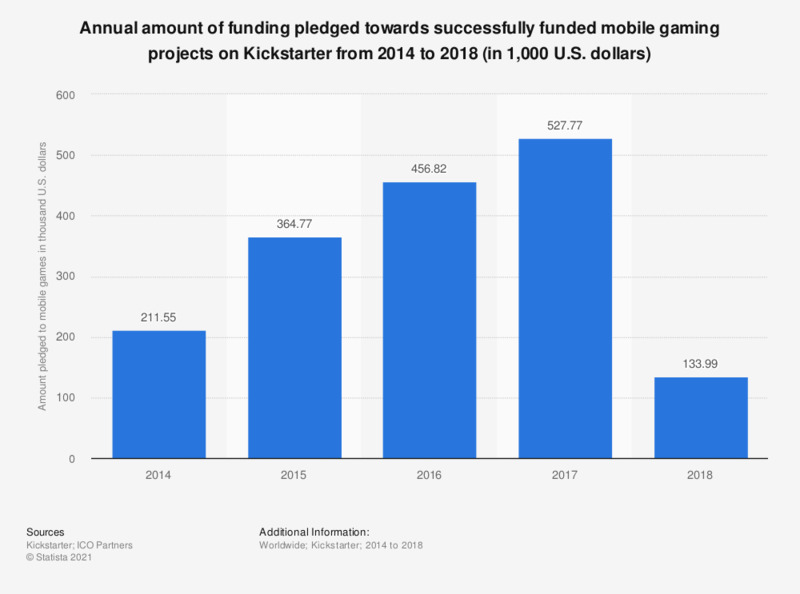 This statistic gives information on the amount of dollars annually pledged towards successful mobile gaming projects on the crowdfunding platform Kickstarter from 2014 to 2018. In 2018, roughly 134 thousand U.S. dollars were pledged to mobile game projects, down from 527.77 thousand U.S. dollars in pledges in the previous year. Successfully funded projects only, not category total. Everything On "Kickstarter" in One Document: Edited and Divided into Handy Chapters. Including Detailed References. How much money have you used to fund through this donation-based crowdfunding platform?